Sitting at a table last night celebrating the marriage of the daughter of students and friends the discussion turned to Krav Maga. One guest talked of how he walked into a Krav Maga class in Jerusalem, saw everyone beating each other up, and ran out. He never returned again. Another said he has a friend who trains in Krav Maga. The guy pounded himself on his muscular arms to demonstrate how tough he was. Again, the guest was scared off. The guests were curious as to what made our Krav Maga at IKI so different from other styles and associations. Our host is a big sports fan and a football player. I looked on the wall and saw all the sports memorabilia and a thought came to mind. To play on a sports team you generally have to pass a tryout. I recall in high school; everyone being nervous, hoping to make the team. Guys were spending every free moment shooting hoops, free throws, dribbling, trying to improve their game. And on the fateful day the coach was seen as God Almighty, sitting on his throne with his notepad and his whistle. Every little glance or every little note on his pad was ominous; was this a good sign or a bad? will I make the cut off or not? Those who made the team would soon receive their colorful uniforms and be filled with pride, and those who did not....eternal shame. Now not everyone was cut out to be a competitive athlete, and that is OK. Not everyone has the potential to play in the NBA, and that is just fine. But everyone does have a right to self defense, self preservation and the self protection. Krav Maga must be for everyone. So you are welcome on my team. You are welcome on my team without a tryout. You do not need to be nervous, there are no tryouts, no almighty coach passing judgment. We focus on the training not on the cut offs. All who wish may join us, in a non competitive, non judgemental environment. 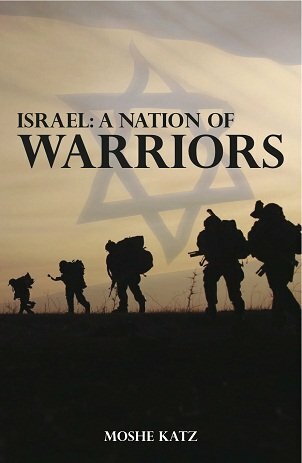 Biblical fighting and lessons from ancient Israel, the roots of Krav Maga and the Israeli fighting spirit. Biblical leaders and fighters. Required reading for ALL IKI instructors.